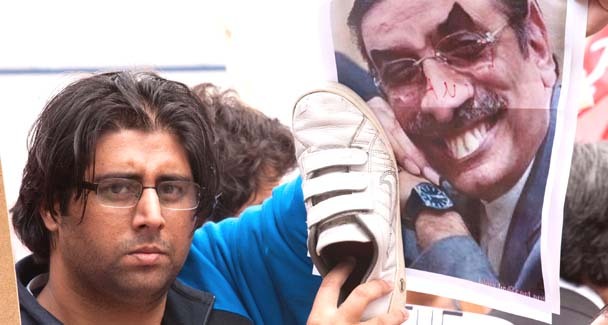 ISLAMABAD – A day after the incident of shoe hurling at President Asif Ali Zardari in UK on August 7, an Internet game ‘Zardari Shoe Game’ has been introduced. 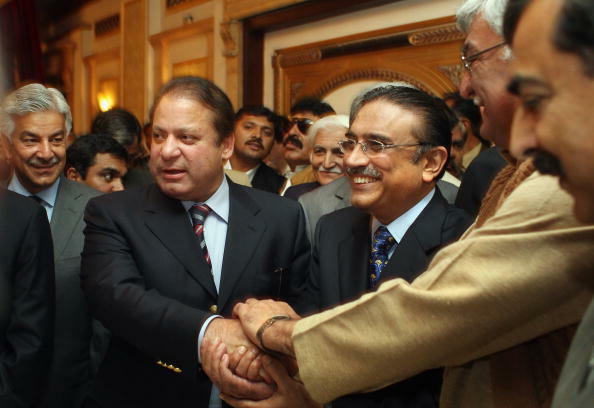 “Play Asif Ali Zardari Game….! Hit Shoes. 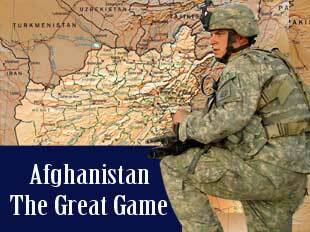 Throw the shoe at Asif Ali Zardari – see how many times you can hit him!”, written in the introduction of the game. The game has apparently been launched on DecentSMS.com, which is an Entertainment & Information portal of Mobile Phones containing huge archive of sms text messages shared by millions of users worldwide. There are three different stages in the game. 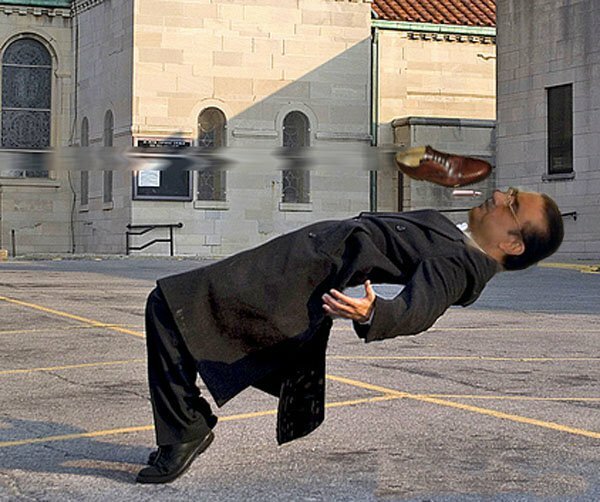 On hitting the shoe at the right target, which is the animation of Asif Ali Zardari, the user or player gets scores. Moreover, the game also sh-ows the animation of former Minister for Information and Broadcasting Sherry Rehman sitting with the animated President. In the third and last stage, a building labelled ‘ 9 zero’ is also shown. 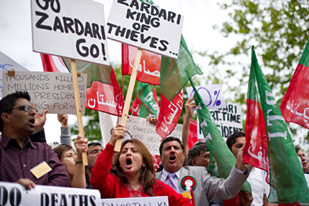 It is to be mentioned here that the incident of hurling sho-es at President Asif Ali Zardari took place on August 7, 2010, when he was addressing a rally in UK. Almost all the national and international media reported the incident. 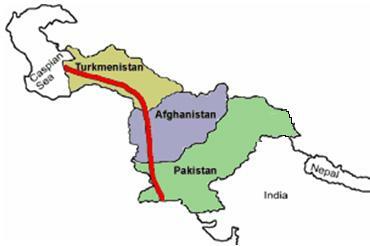 However the Government of Pakistan has been denying any such incident. 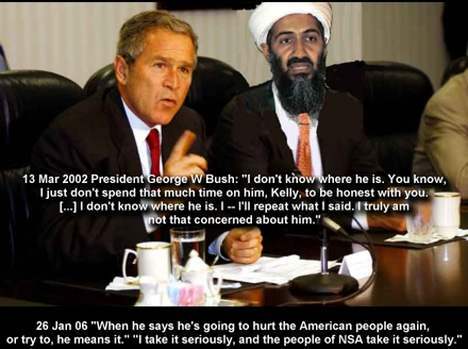 Earlier the former US President Bush had also to face such embarrassment, when a shoe-hurling incident took place with him in Iraq during his visit. At that time a similar game was launched on the Internet in which the player was supposed to hurl a shoe towards animated US president while the animated kept from right to left. For weeks now, I have followed the strange and mean campaigns of some Pakistani scientists and politicians against the efforts of the Higher Education Commission (HEC) and its former Chairman Prof Dr Atta-ur-Rahman. The accusations are based on such meanness, malice or incompetence that as a friend of Pakistan and being involved for almost 35 years in the higher education of this country and having had the privilege of being one of the very few foreign scientists honoured by the Government of Pakistan with Civil Awards, I feel obliged to break my silence. 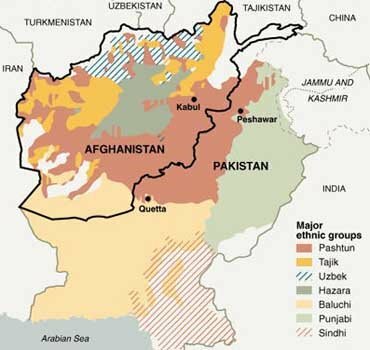 In 1974, when I was sent to Pakistan on an identification trip by the German Government to look for a cooperation partner, I visited about 15 heads of research institutions throughout Pakistan, and, strongly disappointed, I found a vast scientific desert in the country: sophisticated instruments, donations from abroad, out of order, empty libraries, laboratories lacking chemicals and frustrated professors. But there was one exception, the so-called Postgraduate Institute of Chemistry, Karachi University, founded by Prof Salimuzzaman Siddiqui and developed later by Dr Atta, and I could only confirm the impressions of the journalist, late Azim Kidwai, who wrote in Dawn: “One has to visit to believe it. There is at least one scientific institution in Pakistan that is comparable to any of that breed in the most-advanced countries; not only the way it is equipped and maintained, but also the way, people work in it. There appears no element of lousiness. Dedication, hard work, excellence pour into test tubes.” These experiences made the selection of my cooperation partner easy. Based on my 700-page expert report, finally five million DM were granted by the German government for the KarachiTuebingen Project. 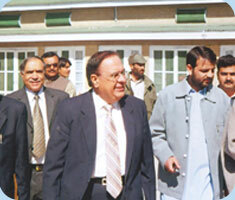 The overwhelming success of the HEJ Research Institute in Karachi, Dr Atta’s intellectual capacity, dedication and enthusiasm about science and his keenness to eliminate lousiness and ineptitude were the reasons for Prof Atta’s merit-based nomination as minister of Science and Technology and later on as federal minister and chairman of the HEC. And a miracle happened. The scenario of education, science and technology in Pakistan changed dramatically after Prof Atta’s nomination as never before in the history of Pakistan. The chairperson of the Senate Standing Committee on Education recently announced it as “Pakistan’s golden period in higher education.” Due to Dr Atta’s efforts in a short period of two years, between 2000 to 2002, Pakistan made spectacular progress in Information Technology and became the first in the entire region to have its own education satellite — Paksat 1 — in space. In a short period of five years, university enrolment almost tripled and efforts to promote research have resulted in a 400 per cent increase in international publications and a 600 per cent increase in foreign citations of the work of Pakistani authors. During 1947-2003, not a single university in Pakistan could be ranked among the top 600 of the world, but today three Pakistani universities belong to this prestigious group, with the National University of Science and Technology at No 376 (Times, Higher Education, UK rankings). I remember visiting a number of libraries in universities in Pakistan in the 1970s, 1980s and 1990s and one did not find even half a dozen of the latest journals there. Today, under the HEC digital library initiative, every public sector university has free access to over 25,000 of the latest international journals, 45,000 text books and research monographs from 220 international publishers. It is not an ordinary thinking to bring the world’s top universities within the boundaries of Pakistan. I hope the visionary initiative of Dr Atta to establish foreign technical universities in partnership with Germany, France, Italy, Sweden, Austria, and China, will be enthusiastically implemented by the new government and not shelved. One of Dr Atta’s most important achievements is the excitement that he has been able to create in Pakistan’s brightest youth to opt for careers in education and research. Almost three thousand students have been sent abroad for PhD to top universities in the world through the HEC scholarship scheme. Dr Hoodbhoy is com pletely wrong when he criticises the selection process for foreign scholarships and claims that the students sent abroad were weak.